On Saturday, a magnificent horse gave his life for the sport. His death wasn't caused by a fall, a preexisting condition, or human error. The 10-year-old steeplechaser Many Clouds put in an emotionally stirring performance to beat Thistlecrack in the Cotswold Chase, the horse who has been heavily favored for this year's Cheltenham Gold Cup and was previously undefeated in steeplechase events. Many Clouds himself was the winner of the 2015 Grand National. It was the classic “old guard” versus “young upset” tale, and the race to the finish was one for the ages. The two chasers leapt over the final fence nearly in unison, but then Thistlecrack began to draw away from Many Clouds. Gallantly, Many Clouds lowered his head and dug in, drawing back alongside his rival just in time to get his nose in front at the wire. Tragically, several minutes after his victory Many Clouds collapsed and died. A postmortem report found the cause of death to be a massive pulmonary hemorrhage, which the British Horseracing Authority determined could not have been predicted. Though Clancy goes on to say that there is no excuse for being “flippant” with a horse's welfare, he writes that sometimes events like the death of Many Clouds are just tragically unavoidable. While the sentience of horses has long been debated across the realms of science and beyond, it is not hard to imagine Many Clouds' drive to win when watching the replay of his final stretch run. He went out a winner, giving his all to the sport. May he rest in peace. 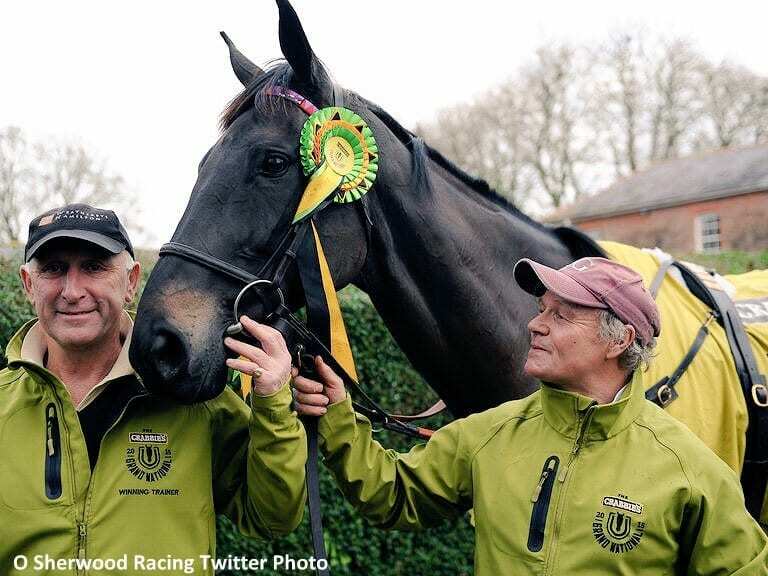 This entry was posted in NL List, Racing and tagged British Horseracing Authority, Cheltenham Gold Cup, grand national, Joe Clancy, many clouds, oliver sherwood, thistlecrack by Paulick Report Staff. Bookmark the permalink.